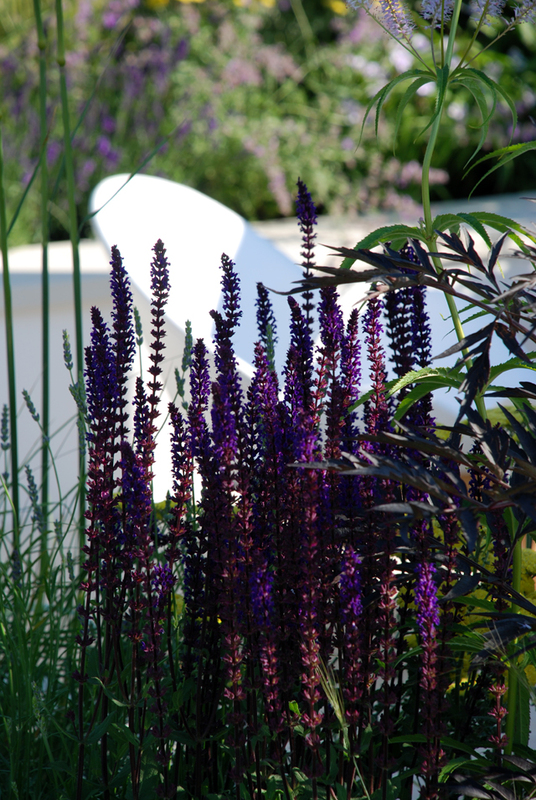 The next garden I’m going to feature is The Garden Pad which was designed by Dan Bowyer and built by London Gardens and Streetscape. I know Dan and I also work with London Gardens so I was even more interested to see the garden they had created! 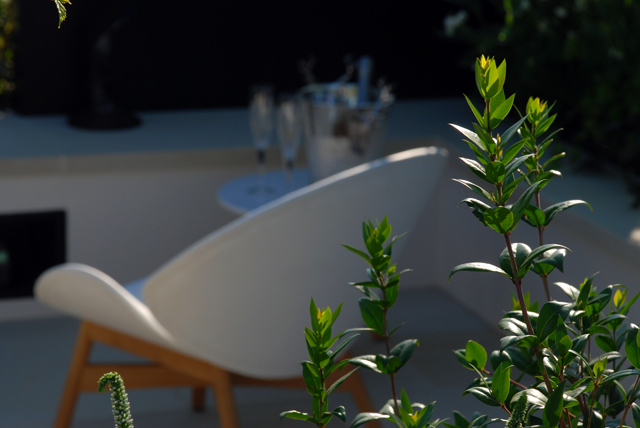 This garden absolutely did what it set out to do…a contemporary and slick space designed for a bachelor who enjoys the finer things in life. 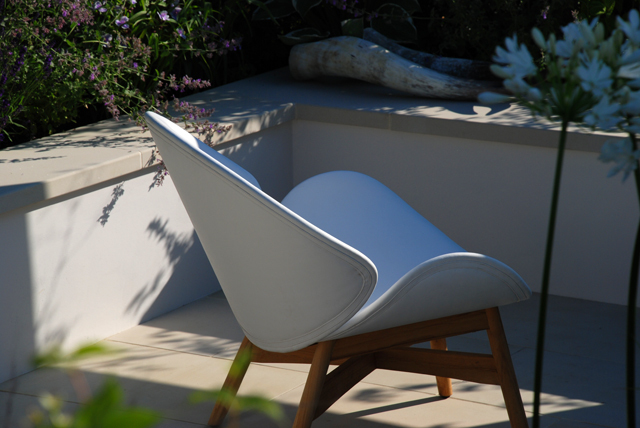 The main sitting area was sunken and he used a sawn sandstone paving which looked fabulous – certainly a place to sit an enjoy a glass of something cold on a warm evening! 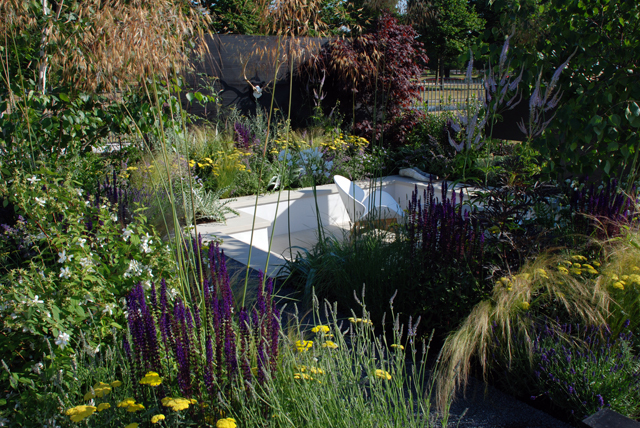 The crisp lines of the hard landscaping were brilliantly softened with grasses and summer perennial planting. The garden also featured an outdoor fireplace (sorry, no pictures of that!). 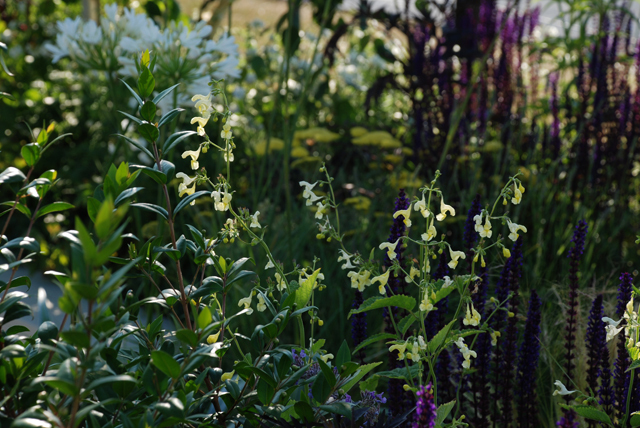 Huge congratulations to Dan for being awarded a Silver-Gilt Flora – a brilliant result for his first show garden! I’m trying to find out what kind of grass (I think it’s a grass?) that is in the middle at the top of the first picture. It looks like it has little arrows invisibly suspended from long stalks. Any clues you can give me would be much appreciated!